Run by cycling enthusiasts, Centro Ciclismo Andalucia provides a great option for exploring the countryside of Andalucia. At this center, you can rent bikes, take guided tours, and arrange for longer bike holidays. In addition to offering repair and general maintenance services, the center also sells quality mountain bikes. Stop by to take a tour, rent a bike before setting off on a self-guided adventure, or bring in your own bike for a check-up and some care by professionals. Check the website for further details. 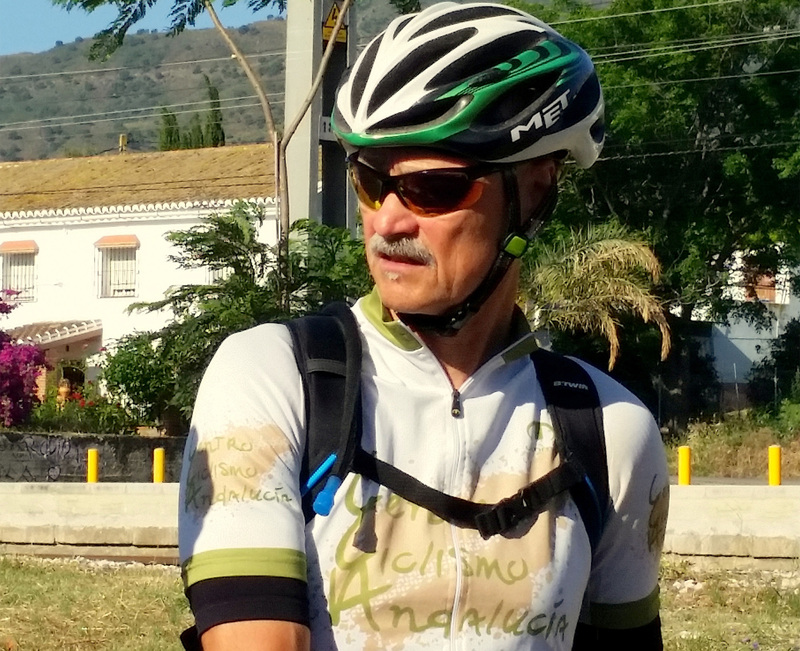 Our Alora online travel route builder makes visiting Centro Ciclismo Andalucia and other Alora attractions simple, and helps you make a travel plan personal to you. 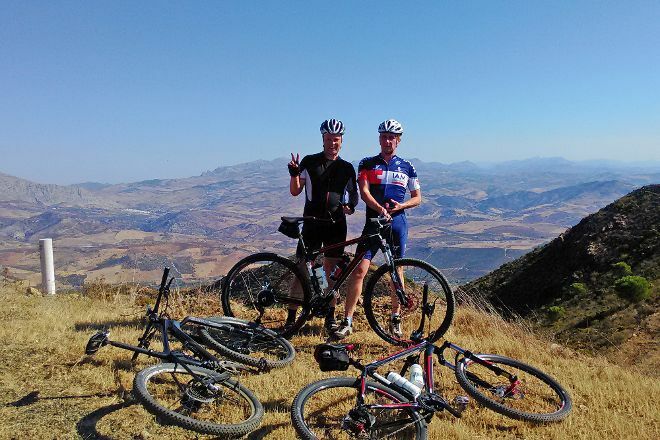 At Centro Ciclismo Andalusia we have ridden mountain bikes on Santos who were in top condition. The first time in my life that I got with my bicycle a appropriate length. The routes devised by Rik were always a welcome surprise. The scenery was very varied and the roads extremely well. The most beautiful was perhaps that there is so little to no traffic on the routes. Also the stay at Casa El Naranjo is extremely good. These hosts know where a cyclist needs it. A sumptuous breakfast, packed lunch and in the evening a delicious dinner. What more do you want? We have 10 days enjoyed the hospitality of Erica and Rik! The apartment was very tastefully decorated and was cleaned every day. The breakfast was excellent, there was so much that we almost could breakfast all day on the bikes. Only late in the day we started our banana and Granola bars that are always ready for us. What are we spoiled by Erica! Every day gave Rik again a wonderful trip which we on our GPS loaded. What a surprise, the roads were very good support and were largely traffic-free. We came more cyclists than cars. The area was very varied and we have enjoyed nature. After the bike ride was always very interested asked how we had had. A healthy nutritious meal cooked Rik, there was always more than we could eat. We have very often with Erica and Rik eaten because there was always so much conversation, and the evenings also flew over. And of course tasted like the Spanish wine very well. We were just too early for the Orange harvest otherwise we each day a freshly squeezed glass of Orange had their own tree. We will definitely be back because it is such a magnificent cycling and hiking area that those 10 days were too short. We could also mention the famous Camino del Rey run because Erica does have its inputs to tickets. What a fantastic yet it was that. Every day, we help thousands of travelers plan great vacations. Here are some tips on how to use your Listing Page to attract more travelers to your business - Centro Ciclismo Andalucia. Promote your permanent link - https://www.inspirock.com/spain/alora/centro-ciclismo-andalucia-a5201712361 - on your website, your blog, and social media. When a traveler builds a plan from this page, the itinerary automatically includes Centro Ciclismo Andalucia. This is a great way for travelers looking for a great vacation in your city or country to also experience Centro Ciclismo Andalucia. Promoting your link also lets your audience know that you are featured on a rapidly growing travel site. In addition, the more this page is used, the more we will promote Centro Ciclismo Andalucia to other Inspirock users. For best results, use the customized Trip Planning Widget for Centro Ciclismo Andalucia on your website. It has all the advantages mentioned above, plus users to your site can conveniently access it directly on your site. Visitors to your site will appreciate you offering them help with planning their vacation. Setting this up takes just a few minutes - Click here for instructions.